Hull digital agency Eyeweb celebrates one of its developers, Karl Robinson, becoming a director. 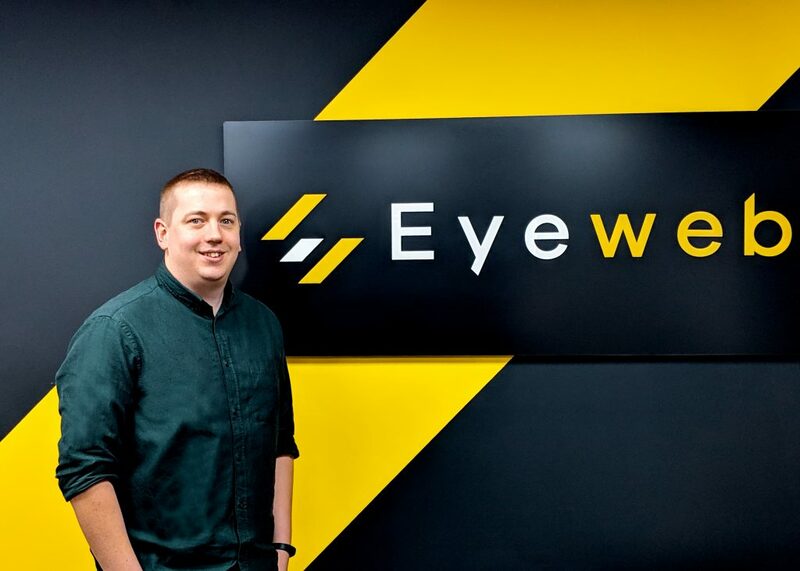 Having recently moved into Maritime Business Park as a result of significant growth, digital agency Eyeweb is now celebrating Karl Robinson taking on his new role as Director. Working alongside Managing Director Paul Scott, Karl originally began his career at the company as a developer, helping to create web solutions for national brands across every sector. After six years of dedicated career progression and showing considerable initiative, the commencement of his new managerial status coincided with the agency’s seventeenth anniversary. Having a finger on the pulse of technological advancements is crucial to Eyeweb’s daily operations, with the development team keeping track of changes in open-source web frameworks such as Laravel and VueJS. This attention to detail enables them to build bespoke websites and systems that suit each client’s individual requirements. Working from their 1,500 square foot offices, Karl and the Eyeweb team have created branding, campaigns and websites for practically every sector, with clients ranging from Scotts Property and Graham & Rosen Solicitors, to the VW Festival and professional boxer Luke Campbell. This adaptability means that the agency can bring results to any type of business, regardless of size or sector. Be the first to comment on "Karl Levels Up from Web Code to Boss Mode"